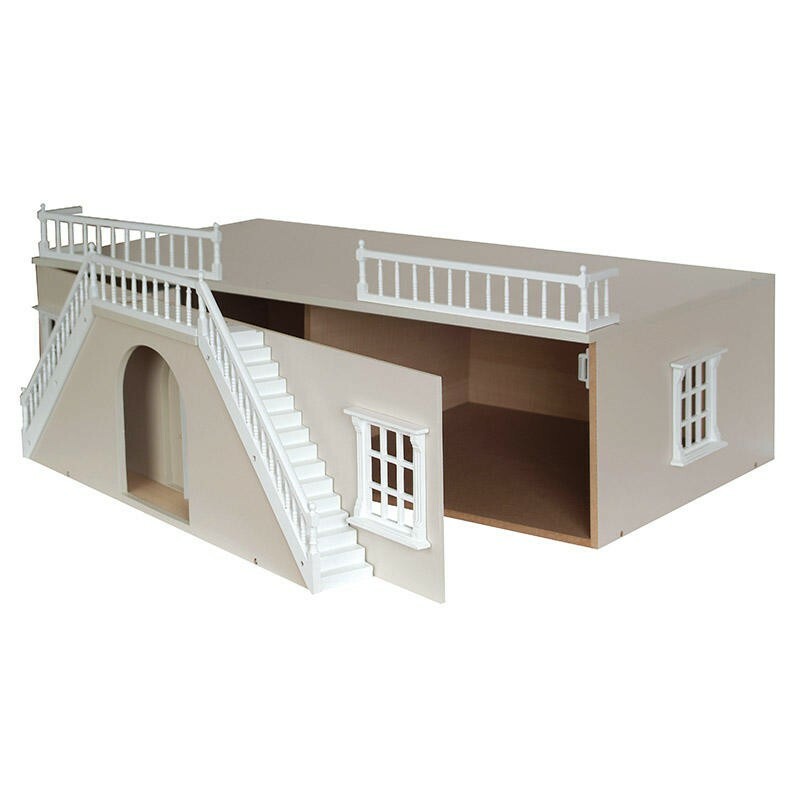 9" x 32" x 21"
Unpainted Large Basement with removable stepped front arch. Features removable steps and arch, with hinged front opening to basement. Flat packed with ready made components, slot and screw together simply and quickly. Unpainted kit version. Suitable for houses with a base size up to 810mm Wide x 500mm Deep.